We are proud to announce that we started to support KuzeyDoga Association’s “Bird and wetland conservation, environmental education and increasing village-based ecotourism at Aras River Bird Research and Education Center, Yukari Ciyrikli village, Igdir” Project until June 2018 with 3.000 GBP. The project involves “bird ringing”, a method of attaching an individually numbered, identificatory, lightweight and non-corrosive aluminum ring to the leg of a bird after capturing the bird in a mist-net made of a very light and safe material. 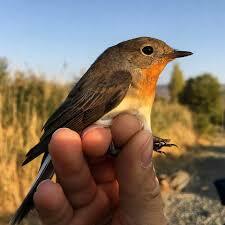 This helps monitoring bird migration and changes in population size. A bird ring provides information on the country and the address of the ringing station, thus enabling to know where it came from in case they are recaptured dead or alive. For more information about the organisation and the project, please click here.